In 2011 Bessard launched his own eponymous independent-publishing house based in Paris. Since then, it has established itself as one of the leading in the field today. Below is an introduction of two latest publications published in 2017, which were spotted at Paris Photo (the world's largest international art fair dedicated to the photographic medium held once a year in November). Beijing Overshoot by Claudia Jaguaribe is the result of a residency in Beijing in partnership with the Rosewood Hotel organized by Ed Bessard. In this residency Claudia had the opportunity to work with Chinese people and to enter into the heart of Chinese society and participate and present her work in conferences in the Three Shadows Photography Art Center in Beijing. 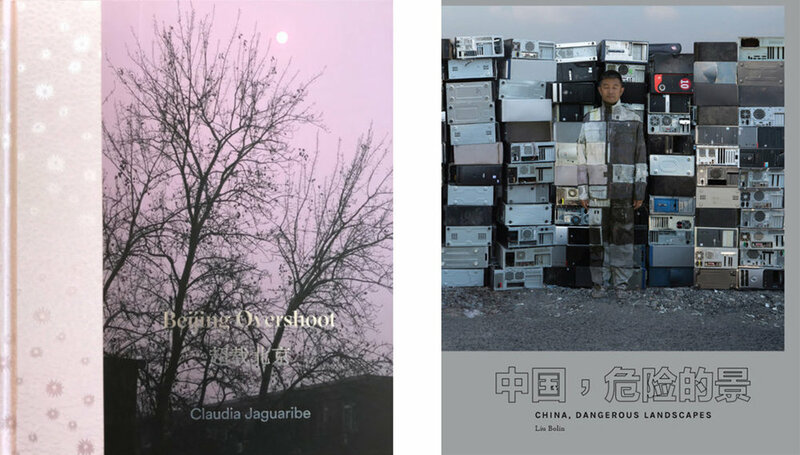 Beijing Overshoot can be described as a magical, poetical personal perspective on issues relevant to contemporary China such as past and present overlapping, the artificial and the natural coexisting in a very particular way, the extreme pollution and daily life in Beijing. The book is conceived in color chapters where images printed on tracing paper overlap other images creating new images in a extremely original design. Liu became famous for his series Hiding in the City, in which his body covered with paint mingles with the backdrop. “When I began the Hiding in the City series, my photographs reflected a refusal of fatality, and a questioning of the ties connecting me to my existence.” Everything began in 2005, when his workshop, alongside those of other artists, was destroyed in the village of Suojia, in the northern suburb of Beijing. As a sign of protest, he created a photograph in the ruins themselves, hiding himself behind the thick layers of paint covering his body. Since then, Liu has continued to camouflage himself to better reveal the contradictions in contemporary society.